While beauty boxes are nothing new, green options were quite a rare occurrence, but not anymore. Many eco subscription companies have sprouted over the last couple of years. As a result, I decided to do a little research and a compilation of different eco boxes. While I do have the pleasure to be a Beauty Heroes Brand Ambassador, I wouldn’t have been one if I genuinely wasn’t blown away by the quality. Beauty Heroes sets itself apart by introducing each month one innovative eco brand and carefully selecting its “hero” product with a sidekick. If you don’t like being drowned in tons of little samples, then Beauty Heroes is the right match for you. You always get at least one full-size, and even more, as you can see on the picture, with the Beautycounter products. Also, the brands featured are curated by a panel of beauty experts (whole list is here). By only selecting one brand each time, Beauty Heroes introduces the customer to a skin ritual. Think of it as a mini spa session in a box 🙂 Beauty Heroes also has an online clean beauty shop, where you can buy the products. If you’re already a member you also get 15% off. You have until the 20th of each month to place an order for a box. The April Box is celebrating True Botanicals, you can see my IG pic and subscribe here. A box introducing you to some artisan and niche brands for a very affordable price. The boxes are filled to the brim, and the samples are generous. Over time, I’ve had the pleasure to connect with Wejo, the super sweet founder and I asked her a few questions just for you to get an idea of her vision. 1. Can you tell us a little bit more about you? I’m a person that’s obsessed with skin care and LOVE beauty products (even though I rarely wear makeup, I love them.) I can spend all my free time on researching the next skin care/beauty products and thoroughly love it. I also really love subscription boxes, it’s so fun(and nice,) to get what feels like presents in the mail every month. 2. What is your beauty routine like? I have different morning and evening beauty routine. At night time, I focus more on cleansing(because cleansing is the most important step in skin care) and feeding my skin with nutrients that will help my skin heal and regenerate while I sleep. In the morning, I focus on protecting my skin with antioxidants and sunscreen. 3. Any favorite beauty tip? My favorite beauty tip would be – it takes health living and using natural beauty products to achieve glowing skin. With great skin, makeup is used to enhance, not cover up, your glowing beauty. 4. What drove you to start your own subscription box? I combined all my favorite things into one – natural beauty subscription box. 5. Is there a story behind the name of Glowing Beets? 6. The past couple of years we have witnessed an emergence of beauty boxes, how does Glowing Beets sets itself apart? I think there are a lot of great beauty boxes out there and I think it’s great that there are so many great boxes out there! Like everything in life, you just have to find the right one for YOU. Glowing Beets will set itself apart by being the right box for the right people. Green beauty shops also offer a curated box of goodies, from brands they are stocking. Here are 4 of them. Botanika by Alice & White: Limited edition. Beautifully wrapped with a little skincare menu sheet, Botanika by eco-luxe shop Alice & White, features a lovely selection of 5-6 deluxe samples, but full-sizes can pop in as well, as pictured (here). Shipping is free for Sweden, but they ship internationally. Customer service is amazing. Naturisimo Discovery box: On several occasions, Naturismo sells a cute discovery box (see the content of the radiance box here) for an affordable price. I’ve ordered a few of them, and I was really happy, as they were a good value for money. Subscribe to their newsletter to be informed for the upcoming one. Shipping internationally. The Detox Market : For special occasions, The Detox market also offers a fantastic box. Right now, it’s The Detox Your Beauty Spring Box (in collaboration with Café gratitude). You get 8 best-selling products valued at over $230, for the price of $129. Petit Vour: It was one of the first boxes I subscribed to, but the international option was temporarily removed. Recognizable because of its super cute pink box, Petit Vour selects popular niche cruelty-free brands. Subscriptions options for US and Canada can be found (here), but it seems like there’s still a possibility to get it shipped elsewhere, you’d have to contact the PV team for more info. LaRitzy: Starting at $14.99/month, you get a mix of full and travel sizes from natural and cruelty-free brands. Their previous boxes had a lovely mix of indie makeup and artisan skincare. The April box is already sold out, but suscriptions are still open for the next box. Lovegoodly: For $39.95, you get 5-7 full-sized premium products, the April-May box is curated by Alicia Silverstone and every purchase supports a cause, and a part of the profits go to charity. For now, they only ship to the US but they plan on shipping internationally, so that’s exciting! Launched in 2006, VeganCuts was the first green box I had heard about, and it’s still up to this day one of the most popular boxes. The Beauty Box costs $22.95 each month and offers a mix of samples from indie and more luxury vegan brands. Shipping internationally. Pearlesque box introduces each month, fro $39.99, to a skincare brand coming from a specific geographic location. Featuring a new place every month, the past one one was about Malibu. Free shipping for US but international shipping available. Kloverbox: For 25$, this US box is mixing cruelty-free organic beauty, accessories and snacks from indie brands. Terra Bella Box: Handmade artisan bath and beauty brands. They also offer the possibility to order a “lite” version, featuring only 2-3 samples, which I think is a good idea if you feel like you’re collecting too many samples. The Boxwalla: a cool concept offering 4 different boxes: beauty, food, literature and film. April’s beauty box ($49.95) is sold out, but you can order the June box. Free US shipping, but international shipping options are available. Worth checking out: their clever artisan map. Artibox collective: a Canadian box, featuring new and upcoming local brands. They are no longer offering monthly boxes, and will instead work on themed gift boxes. Amor Naturals: a very pretty quarterly box with handmade products in NYC for $19.99. Free shipping on your first order with the code (FREESHIP15). I mentionned the Organic Bunny box in my series for bloggers (here), and now Teri Temiyahira has launched a subscription box featuring her own makeup line (click here for more infos). Vegan-box: Featuring popular vegan and organic brands, vegan-box comes every two month, and is shipped for free in Germany. They both offer both snack and beauty boxes; the beauty one retails for 24.90 Eur. Fairybox: starting at Eur.19.90, Fairybox guarantees eco brands that are never tested on animals and includes in the mix the newest product launches. Puritybag (by Spatacular): A curated eco-chic box, featuring full-sized products (Ilia, Organic Pharmacy, Und Gretel to name a few) Costing Eur. 53.99, you can customize to a certain extend your box, so that it matches your personal taste and needs as close as possible. France: Nuoo is a French organic beauty box featuring fresh eco brands from all over the world. There’s 10% off with code “WELCOME” if you pick a 3,6, or 12-month subscription. Shipping to France, Belgium, Luxembourg, Germany and Switzerland. Switzerland: Etyka is a beautiful eco-luxe box, featuring only full-sized products. In each box, you get a mix of wellness, lifestyle, culture beauty and food + a magazine. Shipping to Switzerland and in the rest of Europe. Naturalbox: For Eur 29 each month, Naturalbox is rotating snacks, beauty, and health. They currently sell a snack box, but beauty box pop up on certain occasions too. Free shipping worldwide. Purebox: The website is only in Swedish, but from what I understood, they offer fair-trade and natural beauty products. Bob & Boxy is a personalized eco box with 5 beauty products, the packaging is produced and designed in Denmark made from recycled materials and all recyclable. Green Mind Set vegan beauty box: A new service offered by a Danish green store. 5 deluxe samples mixing haircare and skincare, from indie brands to more established ones. Hong Kong: Naturally better box is a cruelty-free and eco subscription box, international shipping options available if you contact them. 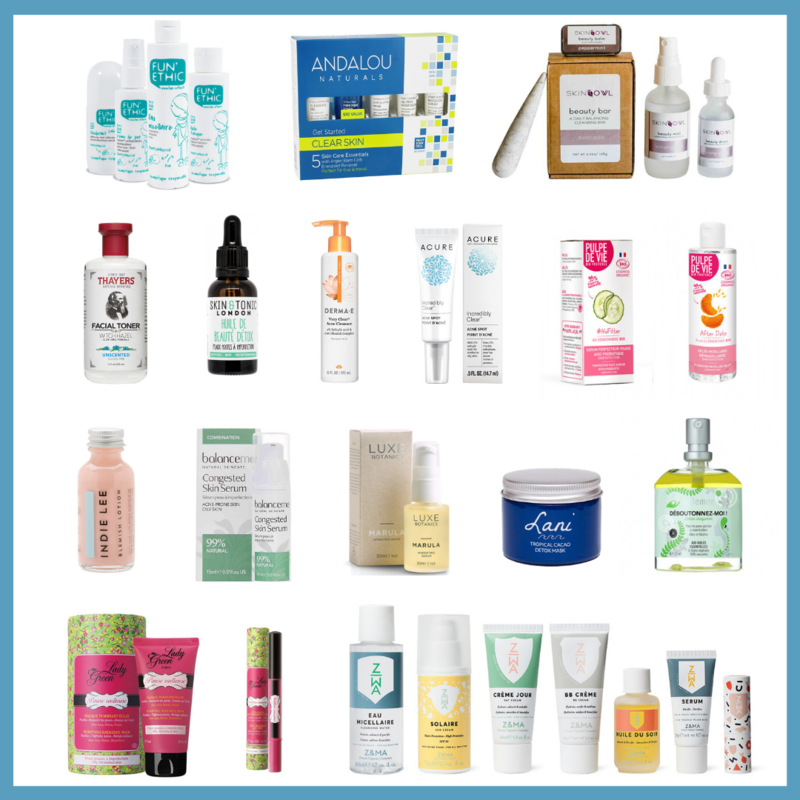 Pure Natural Box: A quarterly organic beauty box featuring at least 6 products from top UK brands (Bodhi & Birch, Organic Surge, Weleda, Angela Landford, Mitchell & Peach) brands for £25. Yuzenbox: With a particular focus on products that provide relaxation, Yuzen comes every three months, and offers a mixture of beauty and lifestyle. RosePost Box: (US) In honor of one magical ingredient – rose. 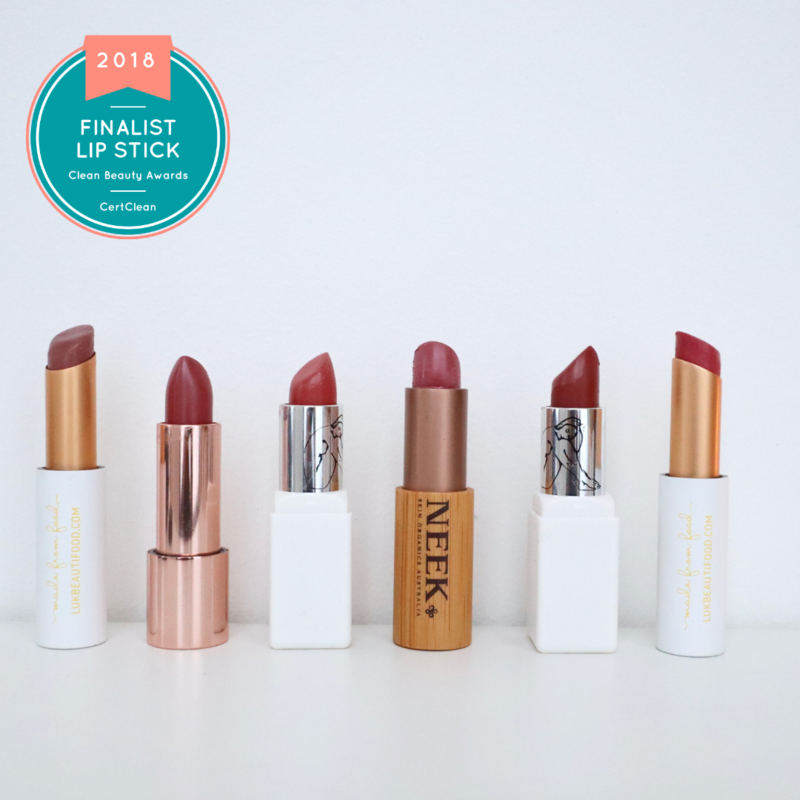 Rosepost box is a quarterly subscription for discovering the best in rose-infused beauty. Brands are green and cruelty-free and products are full-size. The inaugural Fall box shipped in November, the Winter box will ship in February. Oh, and Brija’dore. Forgot about that one! Is the Esthoria box only make up? I went to the site and it looks like three make up products in the box. Thank you, Liz! Glad to find another fan of rose-infused beauty!